The board starts out empty. Black goes first and the two players take turns placing their stones on intersection points on the 19×19 board, trying to surround each other and capture territory. Thus, GO’s original name literally translates to “encircling game”. 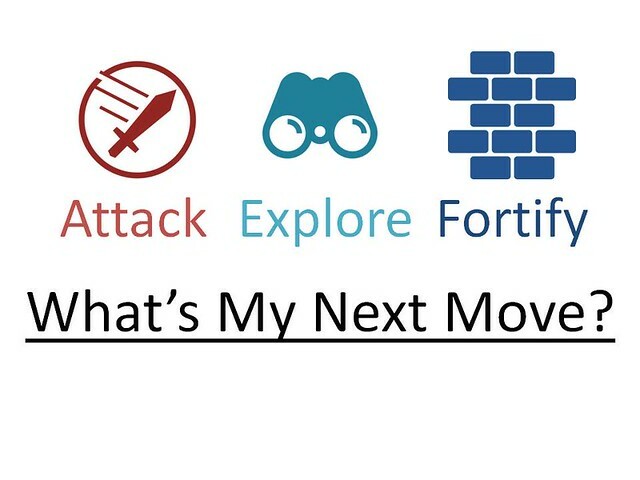 When you are in the opening to middle portion of a GO match, your options for moves can be distilled into: Attack – Explore – Fortify. Attack: place your stone to try and encircle your opponent. Explore: place your stone on an empty area of the board. Fortify: place your stone to strengthen an existing position on the board. An internal client comes to me and asks if I have time to work on the FALCON PROJECT. I have the time, but is this right time? How is my board at work looking? Is the next move for me to attack? Will working on this project help my team take on responsibilities that are with another team but should be handled be my team? Is it time to plant my flag in a new area? Will working on this project help me get into something completely new? This project could explore work that I might enjoy, and expand my expertise into new areas. Is it time to fortify? Only taking on projects next door to what I already do? Will taking on this project bolster my role in the organization for being the go-to for handling this type of work? Here is why I think this is important. At the start of our careers maybe we had Explore as a lense. Later we assumed entrance into a stage where we didn’t need to Explore any more. To our detriment, most of us choose Fortify as our default strategy (only accepting work that’s a close cousin to our current work). Our lives are not so linear! Can you picture a board where someone stopped exploring after the first few moves? Stopped attacking and only fortified? 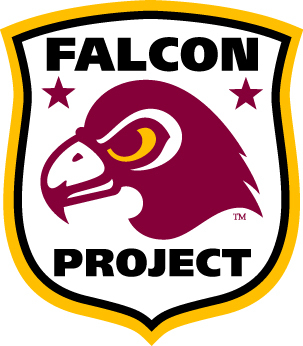 Note: It could be that this FALCON PROJECT is really a pigeon project. Try to avoid busywork as best you can. It might seem like “more of the same” is Fortification but you could be just polishing your wall, not laying new bricks. Below are some of the best comments Kageyama made about playing better GO that also contain encouragement for life. Multiple times in the book Kageyama emphasises that to be a good GO player, all you need to do is consistently make solid moves. He points out that we can be pulled off course by thinking we need to play a whiz bang move. I feel that way about my life sometimes- pulled between “constant effort is life’s greatest shortcut” and “we need to strap a rocket on this!” When all the while, constant effort is truly the rocket. I finished my applied statistics graduate degree just a few years ago. My most daunting opponent (in my mind) is the person who has training in computer science + statistics. This juggernaut knows how to build statistical models, and can use software to collect the data, build the models and the delivery interface, and is probably a good presenter to boot! Essentially, a nightmare data science genius child who would expose me as a fraud. Kageyama is telling me I can’t just stay on the defensive. So I’m exploring new communication skills, and learning more programming languages to add value to the companies I work with. At the next new task or project at work apply this strategy checklist. Think AEF! It will force you to asses your own position, which might be the biggest insight you get. You are interested in the game of GO. A point of view for how a pro GO player thinks about the game. If you’re treating it like reference material, I’d say two months. 272 Pages and 33 Highlights, mostly highlights about key points of GO rather than life lessons. 11 Chapters, starting with the most important techniques in the game “Ladders and Nets” and finishing up endgame pointers. Thanks Rene that’s kind of you to say! Thank you for reading. Samuel, this is my first visit to your blog and I will be returning. As I read “What’s My Next Move?” I could visualize you presenting this at NPTM. What intrigued me most is that I am a strategy game hound and the game GO is new to me. It reminds me of Reversi but much more complex. I will be looking into learning GO and applying the thought processes to my life as you suggest. Thanks for your kind words Ingrid, and for taking the time to read the post. I’m glad you found something interesting here!